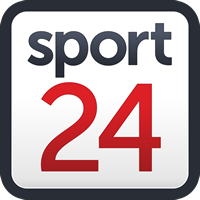 Hollywoodbets Dolphins coach Grant Morgan is looking for a fresh start from his players as they launch the defence of their Momentum One-Day Cup against the bizhub Highveld Lions in Pietermaritzburg on Saturday. The Durban side ended a disappointing 4-Day Domestic Series second bottom last week. Morgan was also in charge of the Durban Heat, who were bitterly poor in the inaugural Mzansi Super League, and he is now seeking a new beginning at the City Oval against a Lions side that are fresh from winning the first-class campaign. “It is a clean slate for us because I think if you look back at our four-day season it didn’t work out how we wanted,” the home coach said. “We’re very conscious about that. “So now we are all really excited about this tournament because we probably go into it with our most experienced side in a format that we enjoy a lot. The Dolphins shared the trophy with the Warriors last year, but Morgan says that tournament is a thing of the past. In the Lions they are up against one of the most regenerated teams in South Africa. Under the guidance of new coach Enoch Nkwe, they have swept everything before them this season, including leading the Jozi Stars to the MSL T20 title. Morgan has been hugely impressed by their progress. “If you look at domestic cricket over the last two years, everyone’s had their chance on the top and at the bottom,” the Dolphins coach added. “Last year the Lions were basement dwellers, so it just shows the work they have put in. Opposite number Nkwe, meanwhile, wants to continue building on the success the franchise has already achieved this year. However, he is fully aware that they cannot take things for granted. “We have done well so far and I am very proud of the players for that,” he said. “But the 50-over competition is different altogether and will be a new challenge for us.